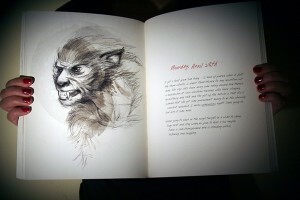 Written by Paul Jessup, produced by becker&mayer!, and published by Chronicle Books; I was brought on to flesh out a young girl’s artistic journal after she and her brother Mark survive an attack by what they first guess is a pack of wild dogs. 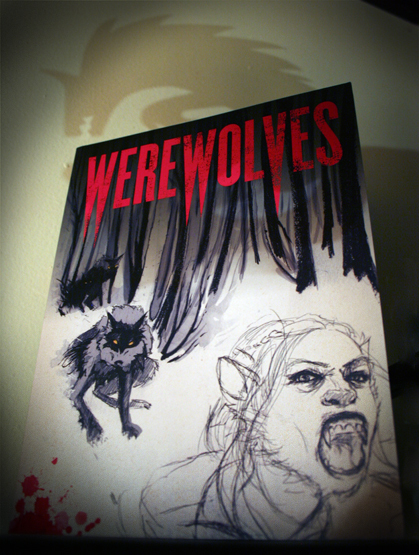 More of a found treasure then a horror story or graphic novel, this book takes a look at werewolves from a uniquely realistic perspective. The art reflecting the sometimes disjointed and often thoughtful musings of Alice Carr, as she jots and sketches her unique experiences down.